Jerry L. Cooper, MD practices as a Dermatologist in Tucker, GA.Jerry L. Cooper, MD graduated from Oh State Univ Coll Of Med, Columbus Oh 43210. 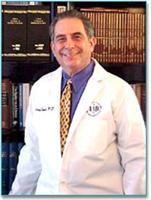 Services Jerry L. Cooper, MD provides dermatology services in Tucker, GA. A Dermatologist is trained in skin care. A dermatologist is concerned with maintaining healthy skin, nails and hair as well as diagnosing and treating skin conditions and diseases. They also correct disfigurements, blemishes and scars. You might see a dermatologist for acne, or see a dermatologist for dermatitis. Please call Jerry L. Cooper, MD at (404) 296-8000 to schedule an appointment in Tucker, GA or call for more information. I will definitely recommend them to people I know. When comparing them to others, they are among the best I have seen. My father goes to them, as well, with attention to what he needs, along with explanations and follow-up. I considered their waiting area chairs to be pretty comfortable. I didn't mind waiting at all. One of the first things I noticed about this business was how many different areas of the building were handicap-accessible. I have been to other places where I couldn't tell how someone in a wheelchair could even enter, but this all ground level with easy parking right up front.